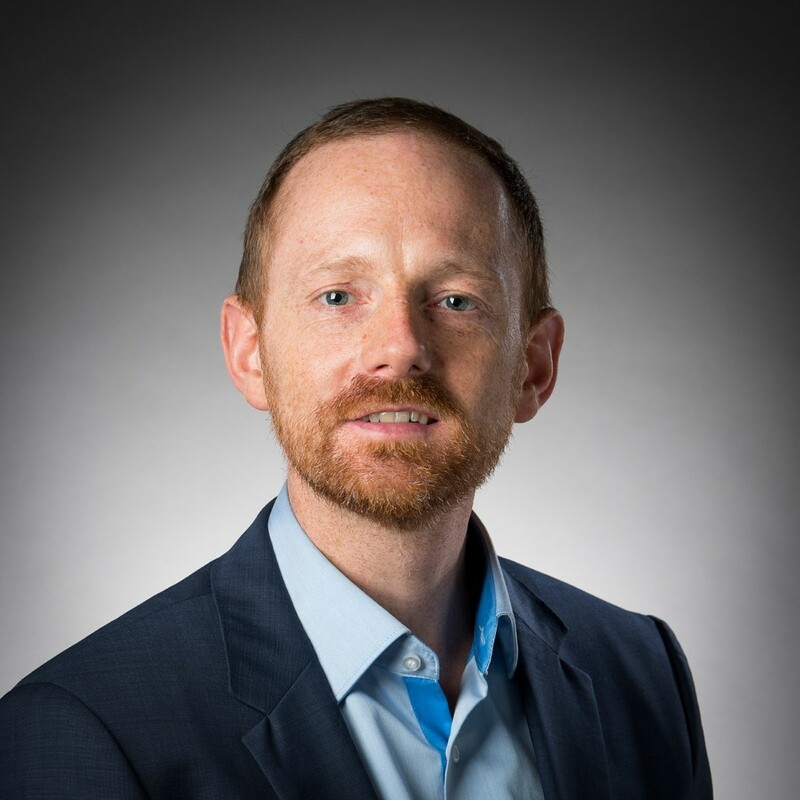 Dr Jannis Wenk is a lecturer in Water Science and Engineering at the University of Bath. He is trained as environmental engineer (Dipl.-Ing.) at TU Berlin and holds a PhD in environmental sciences from ETH Zurich / Eawag. He has 10 years of international research experience on water treatment and the fate of aquatic contaminants in lakes and rivers. Dr Wenk’s field of specialisation is treatment technologies for drinking water, waste water and water recycling, chemical aquatic oxidation processes (e.g. ozonation, UV/radical-based methods and chlorination) and nature-oriented treatment systems. Sewage (or wastewater) contains some weird and wonderful things. Mobile phones, cuddly toys, jewellery, even dentures - all have been found in the sewers. However, these items generally do not cause problems beyond the occasional local blockage and if they do get as far as the sewage treatment plant will be removed as part of the primary treatment process. Of greater concern are wet wipes that, in combination with grease and cooking fat, build up to persistent blockages, as the infamous ‘London fatberg’ has shown. Other substances are less obvious but much more difficult to remove from sewage and wastewater. These substances include a whole range of chemical compounds that are contained in everyday products, such as cosmetics, over the counter medications and prescription pharmaceuticals, pesticides used in agriculture and in recreational gardens, and industrial chemicals used in the buildings such as corrosion inhibitors. Since these chemicals usually occur in low concentrations, the term micropollutants has been established as a collective describer. Overall, wastewater contains a significant amount of micropollutants and many of them bypass sewage treatment plants unhindered and are released into rivers, lakes and coastal waters. Micropollutants have also been found in groundwater and in drinking water. Why do sewage treatment plants fail to remove trace pollutants? The goal of conventional treatment is the reduction of pathogens, and to avoid the obvious degradation of surface water quality due to overloading with organic compounds and nutrients. Conventional sewage treatment employs physical, biological and chemical processes to reach these goals. It is not designed to remove micropollutants. In the second half of the 18th century, as population growth and urbanisation rapidly increased in industrialised countries, wastewater treatment became increasingly necessary to prevent the spread of sewage-related disease. Beyond attenuation of pathogens, the removal of bulk organic compounds was (and still is) a core treatment goal as if untreated, organic loading of wastewater can lead to oxygen depletion in surface waters. In the latter half of the twentieth century wastewater treatment plant technology gradually improved to include the removal of the plant nutrients phosphate and nitrate which cause over-fertilisation of surface water (eutrophication), which ultimately also leads to lack of oxygen and the loss of flora and fauna diversity of aquatic and surrounding ecosystems. Many micropollutants have properties that make their removal difficult using conventional wastewater treatment methods. Pharmaceuticals can be resistant towards microbial attack and degrade only slowly by the biological processes that are exploited during wastewater treatment. Physical removal and separation of the sewage sludge only partially removes micropollutants. 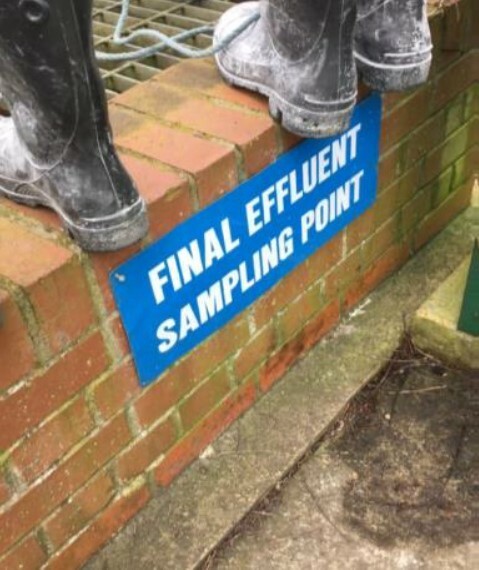 Therefore, a large fraction of the micropollutants entering wastewater treatment plants can be still found in the effluent. What are the consequences of trace pollutants in the environment? In contrast to bulk organic contamination or over-fertilisation of surface waters, the presence of micropollutants has more subtle effects on aquatic organisms and ecosystems. Early studies, a few decades ago, discovered that endocrine active substances present in wastewater, for example anti-contraceptive hormones, were causing male fish to feminise, thereby reducing the reproductive capacity of fish populations. These effects have now been confirmed in many studies worldwide. Pharmaceutical residues in rivers can also lead to fish behavioural change. For example, studies in Sweden and the US have shown that drugs used for treatment of anxiety and insomnia of humans can affect the behaviour of fish to become less cautious, making them an easy to catch prey for predators. In a recent study, Australian scientists have shown that pharmaceuticals can accumulate in the food chain of aquatic ecosystems. For some animals higher up in the food chain such as platypus the uptake of certain substances reached an order of magnitude that was comparable to the therapeutic dose of humans. The long-term consequences of chronic consumption of pharmaceutically active substances on individual species and whole ecosystems is currently unknown. How can trace substances be removed from wastewater? 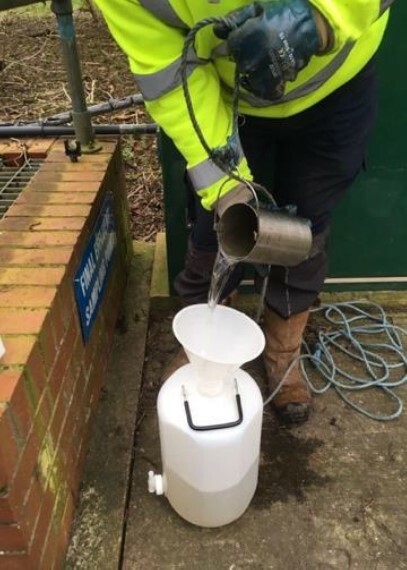 To remove trace substances from the wastewater, the installation of an ‘advanced’ or ‘fourth treatment’ stage is usually required, which usually follows the conventional treatment stages of wastewater but can precede them. Conventional treatment is divided into primary, secondary and tertiary treatment. Primary treatment is the first step and is the removal of coarse solids from the wastewater stream by mechanical means. Secondary treatment is a biological treatment stage that uses microorganisms to remove dissolved and suspended organic constituents. Biological phosphorous and nitrogen is considered as the tertiary treatment but this stage may also include other processes that include removal but may be also include other processes that aim to improve the final effluent quality before discharge into a surface water, such as sand filtration or the disinfection of the effluent. Treatment stages that are specifically targeted to remove micropollutants are considered as the fourth stage. Secondary and tertiary treatment can be also improved towards micropollutants removal and there are combined methods that do a few things in one step. Current research is looking into a variety of advanced treatment options. However, in practice, two methods, both of which are already established in drinking water treatment across the world, have been considered the most promising and cost efficient. These are adsorption of micropollutants with activated carbon and oxidation of micropollutants with ozone followed by biofiltration. The removal of micropollutants with activated carbon is driven by the large specific surface of the carbon which leads to the adsorption of contaminants. The activated carbon ends up in the sewage sludge and, since activated carbon is essentially coal, it actually increases the energetic value of the sludge if it is burned. Ozone is a strong oxidant that is already as established as is activated carbon in drinking water treatment across the world. During ozonation, pollutant molecules are usually partially oxidized and lose most of their ecotoxicological properties. Partial oxidation also makes the pollutant molecules more accessible to subsequent microbiological degradation processes so that downstream bio filtration by aerobic communities (secondary treatment stage) leads to further removal of undesired substances as shown in this research by the University of Bath. What are the costs of micropollutant removal from wastewater? Advanced wastewater treatment is not cheap but frequently unrealistically high cost estimations are made. Cost-calculations based on practical experience is available. For example, Switzerland is the first country to equip the country's 100 largest wastewater treatment plants with advanced treatment facilities to remove micropollutants, the cost of which is CHF 32 (£ 25) per capita per year if the costs are allocated to local residents or half that figure if shared by all citizens in Switzerland. Some figures from Germany show even lower costs. However, the treatment costs for smaller wastewater treatment plants are usually higher. Investments in modern wastewater treatment technology to remove micropollutants primarily lead to benefits for the aquatic ecosystem. Benefits for the human population include improved ecosystem services and recreational opportunities. However, the ultimate question is what society and the individual citizen are willing to invest for healthy ecosystems and the environment? Investments in wastewater treatment technology are needed to keep up with technological capabilities. In addition to micropollutant removal investments in wastewater treatment should simultaneously address other pressing problems such as the retention of microplastics, the recovery of energy and resources from wastewater, and the reduction of greenhouse gas emissions during wastewater treatment. 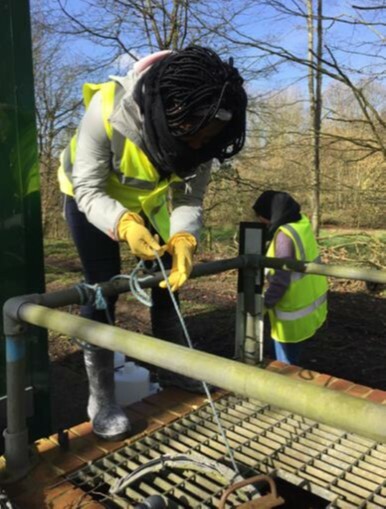 Students of the University of Bath sampling wastewater effluent: Treated wastewater contains still a wide range of compounds that may affect river and lake ecosystems.